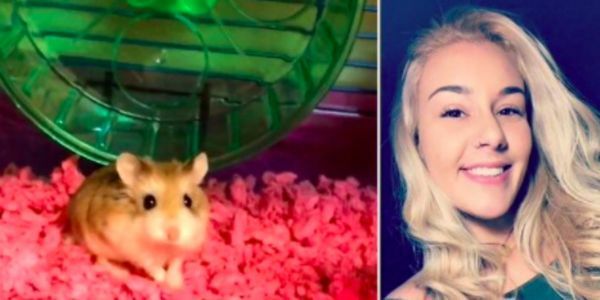 A 21-year-old girl brought her emotional support hamster, Pebbles, to the airport for her flight with Spirit Airlines. She had OK'ed the animal's presence in advance but when she arrived, a Spirit Airline employee told her to either let the hamster go outside or flush it down the toilet. The young woman cried and cried and finally did as she was told, feeling out of options. Sign the petition if you want this adult employee to fired and Spirit Airline to accommodate emotional support animals better. This hamster died a tragic death drowning in the pipes of an airport bathroom and it could have been avoided. Pebble's mom was away from friends and family, too young to rent a car and just didn't know what to do. That's why the Spirit Airline employee had a duty to actually help her, rather than give her the advice to murder her ESA. I knew Spirit Airline was kind of cheap and difficult to fly, but I didn't realize they were encouraging animal abuse of this nature.